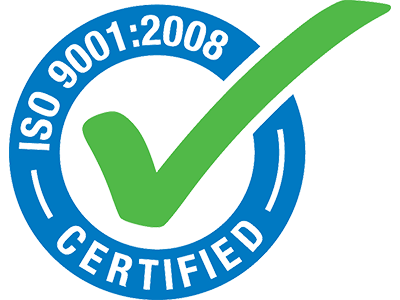 13 September 2017 - Global quality registrar ABS Quality Evaluations has certified Invena's quality system to the new ISO9001:2015 standard. The key differences between the old ISO9001: 2008 certification and this new one include a stronger emphasis on context analysis, increased top level management commitment to the Quality Management System and an increased focus on risk based approach. As an early adopter of the new standard, Invena worked with quality consulting firm Oxebridge to create a world-class quality system that has served as a model for other companies implementing the 2015 standard. Much of Invena equipment also carries international certifications such as CE marking to enable our customers to be competitive in the global market. 27 May 2017 - The restored 1917 Sante Fe depot has served as Invena headquarters for 15 years, and this year we celebrated the 100th birthday of the historic structure. A birthday event was held over Memorial Day weekend, complete with historic actors, a vintage fashion show, railroad exhibits, and historical presentations. The event coincided with the 150th birthday celebration of the town of Eureka, Kansas. 20 May 2017 - Invena has been named the 2017 SBA Kansas Exporter of the Year. The Exporter of the Year award is given to individuals who have increased sales, profits and/or growth of employment as a result of creative overseas marketing strategies, effective solutions to export-related problems, demonstrated encouragement of other small businesses to export, voluntary assistance to other small businesses entering the export market, cooperation with other firms in the creation of export trading companies and/or introduction of unique trading relationships, products or services. Invena exports to over 70 countries around the world. 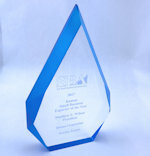 For more information about the award, visit the SBA website. 7 July 2016 - Late in the night of July 7th, three tornadoes struck the Eureka area. An EF2 funnel moved through town and and an EF3 touched down northwest of town. A third tornado, rated EF1, also hit Greenwood County, Kansas, not far from the area where the EF3 was in progress. The tornado that passed through Eureka damaged many homes and the local nursing home, but did not impact Invena facilities or staff. In the months that followed, Invena staff deployed to assist with the cleanup and help the town recover.